Rustic Posy – A Boy Mama running on caffeine and grace. A Boy Mama running on caffeine and grace. The bigger point is, we got back up. We’re still fighting. We’re still chasing our debt-free dream. And if that’s you right now, if you’re feeling awful about how you’ve handled your money in the past, then I’m reaching out to you right now, pulling you up off the ground, telling you to dust off your big-kid britches and run towards that goal with all that you are! When you take the time it takes, it takes less time. We live in this age of instant gratification, instant information, instant food, instant anything really. We live in an era of everyone wanting something done and wanting it done right now. We live in this space where if something is taking too long or is getting too hard, we decide it’s not for us any more. We want the biggest and best without having to put in the actual time and effort to get those things! I’ve been a little quiet on the blog front lately. With summer dwindling down, I found myself jealously soaking up every extra minute I can with my boys before they go back to school. We had a mini family vacation and more lake weekends. We’ve had zoo fun and pool dates. Loads of family time and loads of chill time. 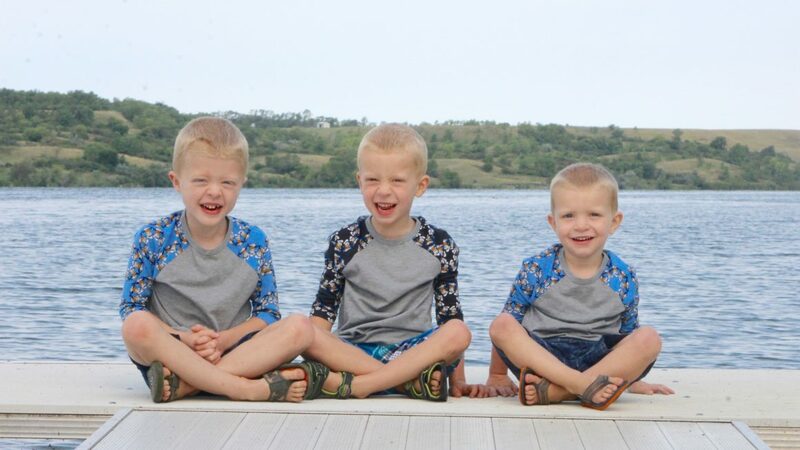 This fall, for the first time in seven years, I will find myself alone at times during the week as all three boys will be in school in one form or another. I’m a little sad this chapter of my life is coming to an end. (OK, let’s be real, my Mama-heart is breaking!) The Little Years are quickly fading from view as my Middle enters Kindergarten, and my Littlest ventures into half-day preschool (way more ready than his Mama is!). But as sad as my Mama-heart is to watch them enter their own new beginnings of childhood, it also bursts with pride at the tiny people God is shaping them to be, and a minuscule part of me is curiously excited. What will I do with this time? Certainly devote more time to my business, yes! Exercise more, yes! But what about those things I’ve wanted to do, but never seemed to have time for because my time was completely monopolized by my Babies? Don’t get me wrong- I have loved 97% of being a stay-at-home mom turned work-at-home mom. (The other 3%? Well, we all have our off days and see the grass as greener on the other side sometimes. Am I right?) But I have on my horizon, some form of time I haven’t had in a very long time. So I’ve been reading (and writing!) more. All those books I’ve put on the “when I have time” list. They started coming to the lake with me, or I spent time in them when I was up before the boys, coffee in hand, with no school to rush off to. I read personal development books (if you have not read Girl, Wash Your Face go download it or pick it up right now!). Books about learning to rest, not quit. Books about doing what makes you happy and choosing joy, being passionate, chasing Jesus, and learning to find your own form of beautiful instead of chasing someone else’s. I’ve tried really hard over the last seven years to embrace the whole “Sorry the house is a mess, but there are kids making memories here” thing. And while it brought me some comfort during the chaos of the “three little boys ages 3 and under” time of my life, it also caused me a ton of anxiety and stress. My personality just doesn’t do well with clutter and mess. In fact, it stresses me out like none other. But it’s hard enough to simply clean your house during the Little Years, let alone keep it neat, tidy and organized, and I learned to give myself grace. Over these last eight and half years of marriage, we have accumulated So. Much. Stuff! When we added kids to the mix, our stuff became mountains of things. We did a little bit of decluttering last spring and had a rummage sale, but this time it’s no-holds-barred. Everything is getting a home (no more junk drawer! ), and things that haven’t been used but kept around because “we might need it someday” are going out the door. It’s going to be glorious and magical and all the things. But it begs the question why? I mean, I’m getting all sorts of good feels out of organizing and decluttering my house, but I also don’t want to spend this precious time on frivolous things either. Is this type of massive overhaul worth the time and energy I’m going to expend on it? I seriously reflected on this question over the weekend while I was sitting by the lake. I have no desire to live a minimalist lifestyle, but a simpler life? Absolutely. In an age and generation of pure consumerism and materialism, so many people are looking for a simpler way. So many people buy more stuff to make themselves feel better rather than invest in quality time with their family or go out and experience the world. Our houses fill up with more and more things, and we sit among our “treasures” and wonder why they’re not precious like treasure should be. I don’t want a house filled with “things.” I want a home filled with precious memories and simple objects that bring warmth and beauty into the space where we make those memories. When friends and family come to my home, I want it to feel inviting and spacious, not cluttered and chaotic. And to be quite frank, when there is so much clutter and stuff everywhere, my personal anxiety aside, you simply can’t focus on the treasures right in front of you. You can’t play the board games with your kids because the table is always covered with mail and magazines and this or that. Your kids exclaim they’re bored because they have so many toys they literally can’t decide which one to play with. They’re overwhelmed with options! You can’t find your flashlight when the power goes out because all FIVE of your flashlights are never where they’re supposed to be (yes, this happened to us!). You can’t figure out how the bigger house with all the storage space you bought a few years ago suddenly feels cramped and the storage spaces are overflowing. So, yes, for me, the time and energy that’s going to be expended on this adventure are going to be well worth it. I know it’s going to take a while, and I know some of it is going to be hard. I mean, we become emotionally attached to our stuff for some reason. Disconnecting ourselves from the habit of feeling like you have to have the latest and greatest, of feeling like every space needs to be filled with something, that takes time and grace. But the rewards and fruit of that labor that I can foresee are going to be so worth it. A decluttering and organizing of my house is going to be just the start of my “simpler life” journey. I’m excited to slow down and enjoy more date nights with my husband, more family game nights, more evenings with friends. I’m excited to not fill every second with activities. I’m looking forward to figuring out how to simplify our mornings so they don’t feel so hectic and how to maximize my time during the week so that I can focus on making memories on the weekends. I’m super motivated to figure out how to simplify our spending so we can give our boys more experiences instead of more things. And I invite you along on this journey! Because while this post and this journey starts with simplifying my home, this is really a journey of discovering true passion and the beauty of life as you leave behind the “stuff” and focus on the treasures. Some of my posts on this journey will be more practical (how I decluttered my kids rooms, how I organized my kitchen, etc), and some will be more soulful as I let go of some dreams and close doors to make room for others. But all of it will be beautiful because it’s part of my story, and I hope you discover nuggets of advice that help make your life simpler and truth that resonates with your soul as you tag along on this journey that make your story more beautiful too. A year ago at this time, we were in the process of trying to sell our house. We were making good money with our business, these larger homes were beautiful, and we were sucked in. Oh, it felt amazing to know we qualified for such gorgeous homes after living so tight since we began our life together. Suddenly we felt like our house was tiny, and we needed more room. We were in no way prepared to sell our house. In fact, it was a whirlwind operation that stressed me out to the max. Once we got it clean and picked up enough to go on the market, the task of keeping it that way with three little boys seemed impossible. In addition, because of my self-employment income, the process to secure the mortgage required much more paperwork that kept me constantly running. Add in trying to run my business, and my stress level was about at it’s limit. The days ticked by as our house sat on the market, and the expiration on the contract for our “dream house” came closer and closer… and then it passed. I cried that morning knowing that house was gone. We took our house off the market and decided we wouldn’t put it on again until we did a few projects to update a few things. By this point though, we were set on moving! So we continued to look at houses. A lot of them. And we found a house I loved even more than the first. It had a HUGE backyard complete with a beautiful patio and fire pit. The basement was perfect for our business. It came with Greg’s coveted larger garage and an amazing walk-in closet in the master bedroom. So much room for clothes! Let’s not even talk about the master bathroom! It was the kind of house where you walk in and just know this is the one. And this whole whirlwind process started all over again. Greg and I talked it over the next morning. It all seemed so crystal clear as I sipped my coffee and took a good hard look over that past two and half months. There’s something to be said for perseverance and digging your heels in when pursuing something you know to be true and right. There’s also something to be said for moving on when a door is repeatedly shut. Most importantly, though, is having the ability to recognize which camp your current situation is resting. I realized that morning that we were at a crossroads. We were looking at two choices, and whichever way we chose would greatly impact what our future would hold. One the hand, we could continue to pursue this home that I absolutely loved. It was in a quiet cul-de-sac neighborhood in a beautiful part of town. This gorgeous home where I could watch my Babies grow up and make memories. But while I could certainly make that house work in our budget, there would be little wiggle room. If things got rough for more than a few months in a row, that’s about all we’d be doing…watching the Babies grow because an emergency fund can only fund for so long. OR. Or we could opt for experiences. We could stay in our current home. We could not worry one bit about having enough to send our kids to the school that fits our family’s current needs perfectly. We could put money towards vacations and family memories (I so want to take our kids to Disney! ), pad our emergency fund even more, work towards the debt-free lifestyle we dream of. As you might guess, at this point, the whole situation seemed ridiculously obvious. I had been praying for God’s will the entire past two and half months thinking He would move mountains to get us into our “dream home” when the fact was He was moving mountains to make sure we stayed exactly where we are. As I called our Realtor (who is one of the most gracious people I know dealing with this whole chaotic process) to have her take our house of the market for the second time in less than two months, I physically felt the weight lift off my shoulders. Our house got bigger. I’m completely serious. I feel like we gained a ton of square footage, and I think to myself why did we ever think our house was too small?! And as medical bills rolled in for the miscarriage and subsequent surgery last spring, as we have another kiddo entering into our private school system, as we planned a fun mini-vacation next month, I’ve been able to take them all in stride- because we chose experiences over our dream house. Because we chose to stay in our smaller home to make memories and watch our Babies grow. Because I finally let go of what the world expects us to do (get into the biggest house you can afford, buy this and that, drive the nicest vehicle you can, upgrade, upgrade, upgrade! ), we can say yes to the other things- the swim lessons, the t-ball, extended weekends at the lake, ice cream dates. Our kitchen remodel is close to completion, and I can’t imagine moving at this point. We’ve put so much work into that project. We’re making this house ours. While we still desire that walk-in closet and larger garage, while I still peek at listings every once in a while, the truth is, I’m perfectly content right where I am. Here, in this place, I know how to keep materialism at bay. I don’t care about the next big thing. Experiences win the day in our house. Days at the zoo, family vacations and date nights take priority over the new phones, a nicer vehicle and more square footage. Investing in our kids’ education takes the cake because that’s where we are called to have our boys enrolled right now. Being able to show our boys selfless giving and what it means to serve others when the Welcome House needs bread, milk and sugar or when a family faces tragedy and a GoFund me account is created? That’s worth giving up our “dream house” any day. The Day I Went Back to Church. Last Sunday, I did it. I went back to church. If you know me at all, you know I’m a Jesus-lover, worship-dweller, service-oriented person. So this topic may seem kind of silly at the onset, but bare with me. I haven’t been to church since we found out Clara’s heart had stopped beating. Not because my faith was questioned. Not because I was angry at God. Quite the opposite actually. I leaned harder into my Savior than ever before with the loss of our Baby Girl. I proclaimed His Truth and His Grace and His Mercy over and over because there was no way I was letting Satan take even more from me at that particular moment in time. I knew God would take the tragic loss of our Baby and bring beauty from those ashes, and He has proven faithful in that time and time again over these last two months. Being open about our loss has allowed me to serve others who are silently suffering, not ready to share their loss. We’ve started a little project called Clara’s Grace to serve others who are struggling and hurting. I’ve seen Him move in big ways and little ways, and I’m anxious to see what beauty He brings about next. So why the hiatus from my church family? Why this break from worship? My church family lifted us in ways I couldn’t imagine when we lost Clara Grace. They made sure we had meals for the next two weeks. They sent care packages. Our pastors reached out to us and offered prayer and services. Our volunteer dates in the kids ministry were immediately covered for the rest of the year without us having to lift a finger. Oh yes, our church family served us with the humbleness of Jesus. It was beautiful and humbling and filled out hearts with so much gratitude. But the truth of the whole matter is- I wasn’t ready to face all the people. I wasn’t ready for the sad hugs, the questions, the physical “loving on.” I wasn’t ready to answer the questions of how I was doing or politely reply to the well-meaning words of those who said the wrong thing not knowing what to say. (PS- there is nothing you CAN say in situations like these. Simply saying “I’m so sorry” is all that’s really needed ❤ ) I wasn’t ready to face those who may not have heard yet that our Baby Girl had passed. With our past two miscarriages, no one really knew. They were early, and we hadn’t shared we were expecting with many. But it’s different when you’re 16 weeks along and starting to show. I wasn’t ready. And that is perfectly ok. Grief knows no timeline. It’s an endless ocean of calm and waves. Sometimes the tidal waves come out of no where, and sometimes it’s a beautiful scene of remembrance. Grief is forever unanswered questions and constant faith in a forever God. I knew I would know when the time was right for me. I knew I would know when I was ready…and so did God. He started planting that little seed a few weeks ago so that when I found out my Boys would be celebrating the end of VBS in church last Sunday, my heart was ready to go. God orchestrated this beautiful return of allowing me to slowly see our dear Friends in Christ each night as we brought the boys to and from VBS (which ironically, or not so ironically, was the perfect theme- Shipwrecked) so that when Sunday came, I could simply focus on worshipping the Lord. I feel like this post is all over the place, and I had a hard time writing it but felt like it needed to be said. Healing after a tragedy can only be done with grace and time. I knew if I rushed back into “normal,” it would catch up with me all too quickly. As I’ve navigated these waters steadily with my eyes fixed on Him, I’ve found He’s put me right where I need to be when I need to be there. So whether for you that’s church, a Mom’s group, a volleyball team, a family reunion, a book club, or something else, take your time, my Friend. Grief knows no timeline. Whether you’re feeling tossed among the waves, like you’re drowning in the tide or sitting on the beach remembering all that was lost, your grief is part of your story…and your story’s not over.